Following and Israeli Air Force operation that killed Iranian and Hezbollah commanders, Israel is on high alert for retaliatory attacks from Hezbollah. The Israeli Air Force (IAF) reportedly attacked a target within Syria on Sunday. Their target – a cell of senior Hezbollah operatives, including Jihad Mughniyeh, commander of Hezbollah operations in the Golan Heights and son of Hezbollah chief Imad Mughniyeh, who was allegedly assassinated by Israel’s Mossad in Syria in 2008. Also killed was Colonel Ali Reza al-Tabatabai, the Iranian commander of the Radwan force of the Revolutionary Guards in Lebanon, according to The Times of Israel. At least six Hezbollah operatives were killed in the attack. Reports indicate that the Hezbollah cell was planning mass terror attacks against Israel to be launched from the Golan, and has already acted against Israeli military targets. UPDATE: Media reports on Monday evening say the terror alert level on Israel’s border with Syria has been raised. Several “Iron Dome” missile defense batteries have been deployed along the Syrian border, in anticipation of Hezbollah-backed troops in Syria, according to Sky News. Where did Israel get its intelligence on the Hezbollah terror cell? 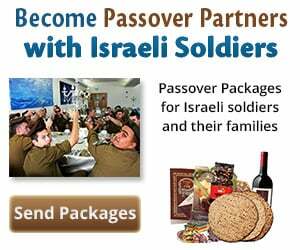 Sources have speculated that Syrian rebels may have fed Israel with the necessary information. The Shi’ite Hezbollah was operating in the Quneitra region, which is controlled by the Sunni al-Qaeda affiliated al-Nusra front, and as both are bitter enemies, Hezbollah was actually operating out of enemy territory. The al-Nusra Front may have provided Israel the intelligence needed, possibly through a third party, and by doing so helped eliminate their own enemy. This attack is perceived as a huge military and intelligence success by Israel, and a serious loss for Hezbollah. Israel has gone on high alert since the attack, anticipating a retaliatory attack by Hezbollah. Arab news sources reported on Monday that Hezbollah has confirmed the attack and has even publicized the names and some personal information about its casualties. 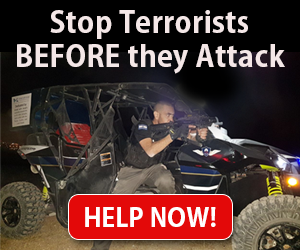 Hezbollah has vowed to avenge the attack and Israeli military sources estimate that Hezbollah cannot afford not to respond to the attack, leaving Israel with another major terror threat by Hezbollah. Former Chief of IDF intelligence Major-General Amos Yadlin spoke on Israel’s IDF Radio on Monday and estimated that the attack was not against Hezbollah but a move to eliminate any terror threats emanating from the Golan, as Israel does not want to be threatened in another theater. Hezbollah prefers to operate out of Syria, he explained, because there is a governmental vacuum in Syria, which enables them with a wider range of freedom. On the other hand, Hezbollah tries to portray itself as the protector of Lebanon against Israeli aggression, and has claimed several times that it does not operate out of other countries. Yesterday’s attack has exposed Hezbollah as a terror organization with international operations. This revelation may cost them domestically and they may lose some support in Lebanon, because the Lebanese do not want to incur Israel’s wrath pouring down on them in Lebanon when Israel attacks in retaliation for a Hezbollah attack executed elsewhere around the globe. Where Can Hezbollah Hit Israel? Where can Hezbollah hit Israel? Yadlin estimates that Hezbollah will have to sit with their Iranian “masters” and decide on the scope and intensity of the attack, and whether or not they want to drag the region into another round of violence. Hezbollah is deeply involved in Syria’s civil war, fighting on Assad’s side, and has incurred heavy losses during the fighting. Hezbollah’s ability to act against Israel at this time and open another front is contested. Some intelligence officers claim that Hezbollah is too involved in the fighting in Syria to attack Israel. Others point out that Hezbollah’s rocket systems, its primary threat against Israel, have not been hindered by the Syrian fighting, and can be used to attack Israel with full force. Hezbollah can launch an attack against Israel form Lebanon or from the Golan. Such an attack can be a “low-scale” pinpoint terror attack, which would convey a message without eliciting a harsh response from Israel. They can attack Israeli or Jewish targets abroad. For instance, on July 18, 2012, a Hezbollah terrorist blew himself up on a bus full of Israeli tourists at Burgas Airport, Bulgaria. The explosion killed the Bulgarian bus driver and five Israelis, and injured another 34 Israelis. The attack was ostensibly in retaliation for Israel’s targeting of Mughniyeh. Israel’s National Security Council’s Counter-Terrorism Bureau issued travel warnings in September, which included a stern warning that Israelis may become targets for terrorists around the world. Europe and the US are on high alert in the wake of a spat of Islamic terror attacks across the Continent, and so a Hezbollah attack in Europe at this time is less likely. Hezbollah leader Hassan Nasrallah threatened Israel in an interview with Al-Mayadeen television last Thursday, saying that his organization would retaliate for what he alleges are repeated IDF strikes on Syria. “The repeated bombings that struck several targets in Syria are a major violation, and we consider that any strike against Syria is a strike against the whole of the resistance axis, not just against Syria,” Nasrallah told the Beirut-based Arab news television.